The only thing I bought when I went to garage sales with my family on Saturday was this perpetual calendar. I bought it for a quarter. I have no idea when this was made, but it’s the coolest thing I’ve seen in a long time. It’s in perfect working condition. 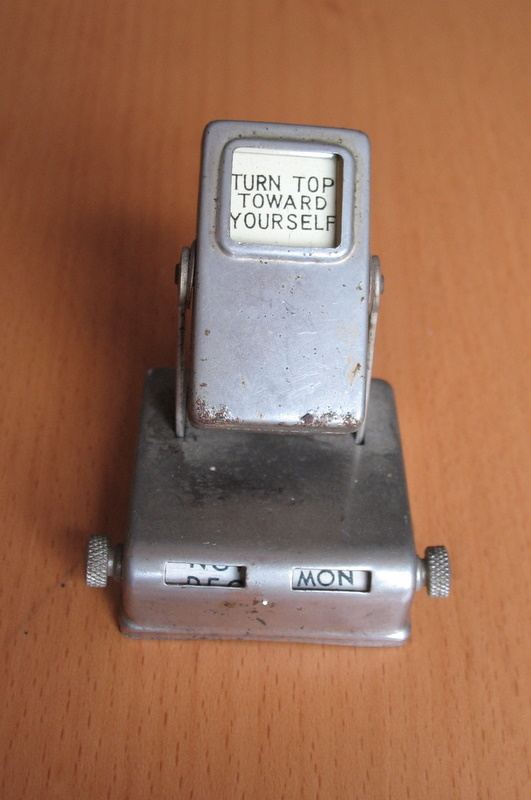 By turning the top towards yourself the day changes. 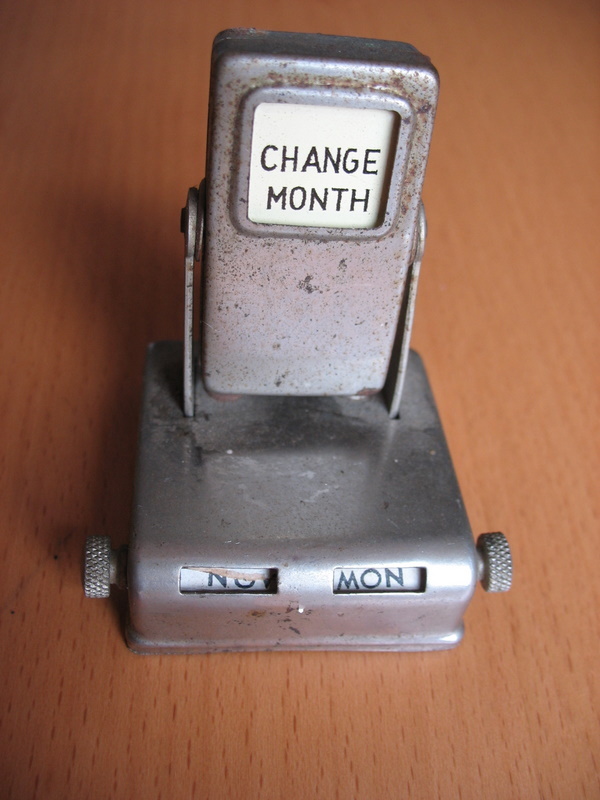 At the end of 31 days, it prompts you to change the month down below. 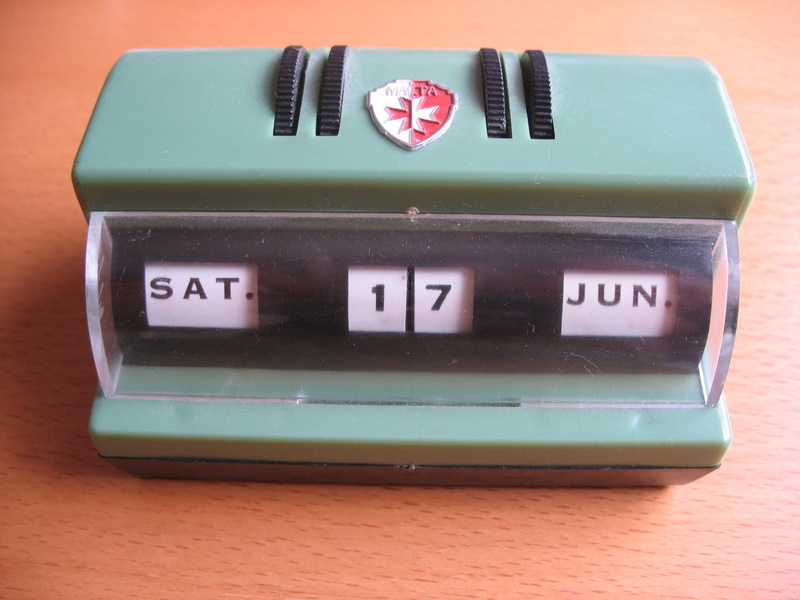 The month and day of the week are printed on paper and glued to a round block of wood. I’m surprised this survived all these years. 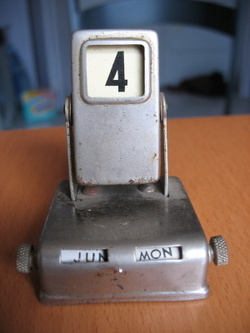 This is the only other perpetual calendar I own. You guessed it, I found it at Goodwill. I can’t wait to find more. 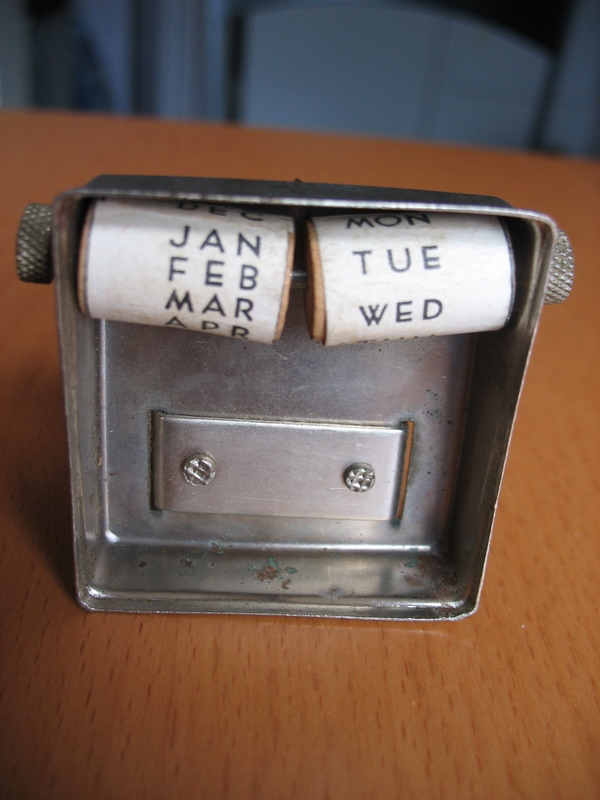 I think these practical little gadgets are something I can really get into. More than fifteen years ago, I attempted suicide. 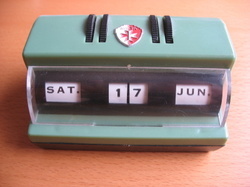 A perpetual calendar was the gift that my brother gave me when I got out og the hospital. It is a junky little thing, but I have kept it, and use it, for a few reasons. Firstly it’s a reminder that there is at least one person out there that loves me unconditionally. 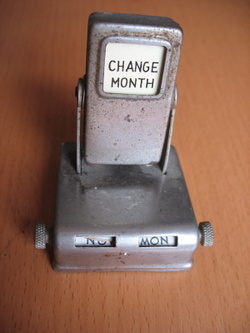 The second reason is that you physically have to change the calendar every day. It’s odd, but it makes me think that I am the engineer of my own fate. I make what goes into my day. Then again, there’s the other adage…one day at a time. Whatever, enjoy your new toy. this kind of object reminds you that time is a perpetual beginning (recommencement perpétuel in french), each day you have to change the calendar, until the day you won’t.. hodie mihi, cras tibi..
but you can just appreciate it for what it is : a funny object, step of technical evolution.